Friends, it’s time to talk about something very serious, something that’s very dear to my heart. Heart disease. Heart disease is the #1 killer of women, so you’ve probably been affected by it in your life directly or indirectly. 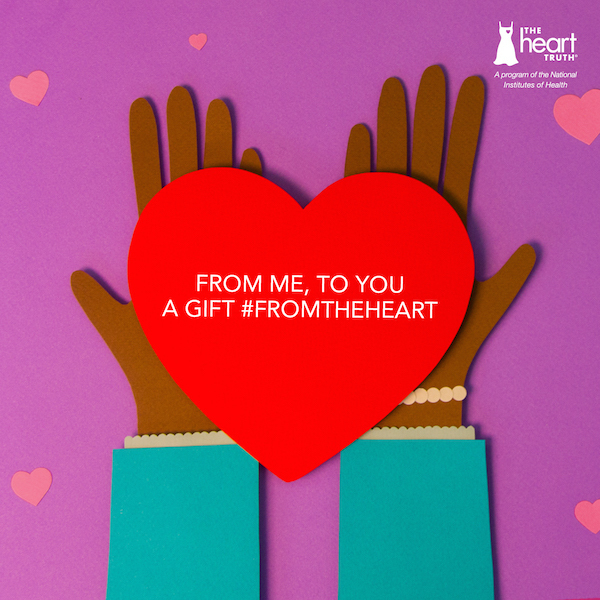 This month, The Heart Truth is working to not only raise awareness for heart disease but to help women take preventative action against heart disease. This topic is very important to me because my grandmother was ill for several years due to complications from heart disease. Last year, my mother fell ill too. She spent the better part of six months in the hospital due to complications from heart disease and some procures that she had done. Those are my genes, friends. I’m scared. I also have a daughter, so I want her to realize that heart disease is serious and it’s never too early to take preventative measures. 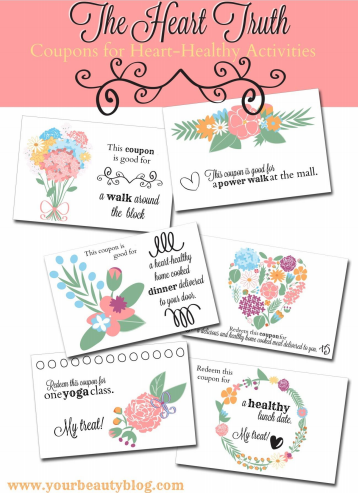 To make it easier for you to The Heart Truth’s mission, I created some cute printable cards for you to gift to the special women in your life. You could give them to your mother or grandmother, but don’t forget about the younger generation too. Your friends and your daughters will also benefit from living healthier. This was my wedding day in 2001. This is the last photo of me, my mother, and my grandmother together. At this time, my grandmother was already sick, so we weren’t sure if she could make it from Ohio to New York to my wedding. We talked her in to a wheelchair, and she wasn’t happy. But she made it, and I am forever grateful that she did. Nanny, as every kid in town affectionately called her, wasn’t just my favorite relative. She was everyone’s favorite relative. The woman had raised four girls with her husband gone five days out of every week. She grew most of their food and preserved it for the winter. She sewed all of their clothes and kept the house clean every day. She was a feisty one, let me tell you. She would tell you exactly what she thought without mincing words, and you listened and took her words to heart. She didn’t meet most of her great-grandchildren. She never met my middle child or my youngest, who is named after her. She passed away from a heart attack two years after this photo was taken, just after my oldest son was born. Eighty percent of women age 40 to 60 have at least one risk factor for heart disease. If you have risk factors for heart disease, talk to your doctor about creating a care plan. I can’t control all of my risk factors, but I can control some. I’m making a conscious effort to eat better and exercise more. These good choices are also leading to weight loss, so that’s helping with another risk factor. I’m also teaching my daughter about heart health and how important it is to eat right and exercise now because it could be too late when she gets older. My mother lives independently now, but I do help her when she needs help. I created these coupons with her in mind to encourage her to eat healthier and exercise. Maybe when I give her some she will want a set of her own to pass along to her friends, too. Print this packet for 6 unique cards to cut out, and there's an envelope to cut out so you can mail them or hand-deliver them. Your loved one gets some education about staying heart healthy, and you get to spend more time with them. What's not to love about that? 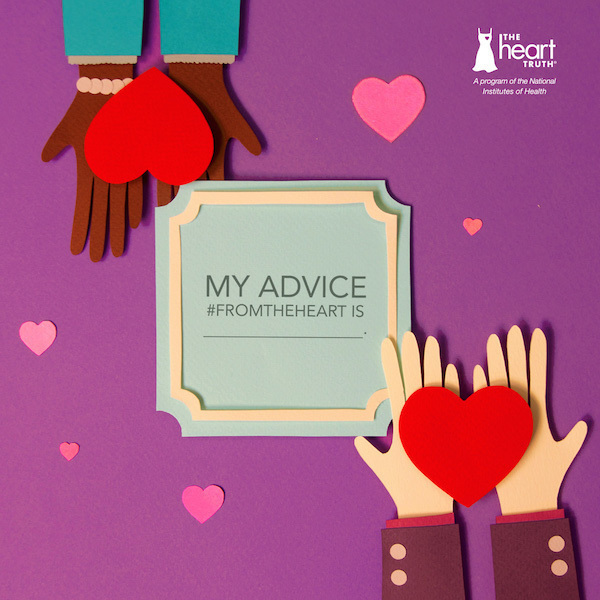 Learn more about heart disease and The Heart Truth by following #FromTheHeart on social media.